Beyond “search,” note that we’re seeing strong growth in consumption of content related to ML across all formats—books, posts, video, and training. There are also many important considerations that go beyond optimizing a statistical or quantitative metric. For instance, there are certain areas—such as credit scoring or health care—that require a model to be explainable. In certain application domains (including autonomous vehicles or medical applications), safety and error estimates are paramount. 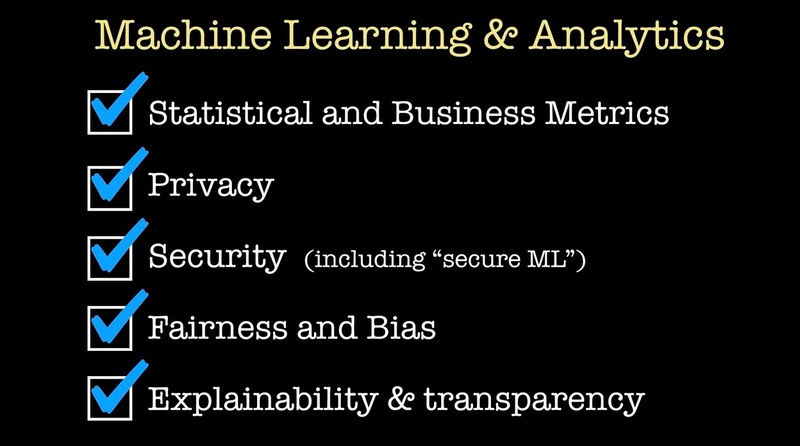 As we deploy ML in many real-world contexts, optimizing statistical or business metics alone will not suffice. 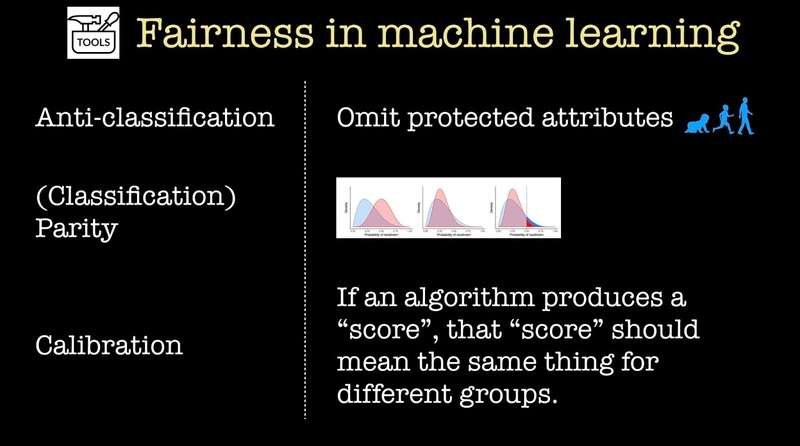 The data science community has been increasingly engaged in two topics I want to cover in the rest of this post: privacy and fairness in machine learning. Federated learning is useful when you want to collaborate and build a centralized model without sharing private data. It’s used in production at Google, but we still are in need of tools to make federated learning broadly accessible. We’re starting to see tools that allow you to build models while guaranteeing differential privacy, one of the most popular and powerful definitions of privacy. At a high-level these methods inject random noise at different stages of the model building process. 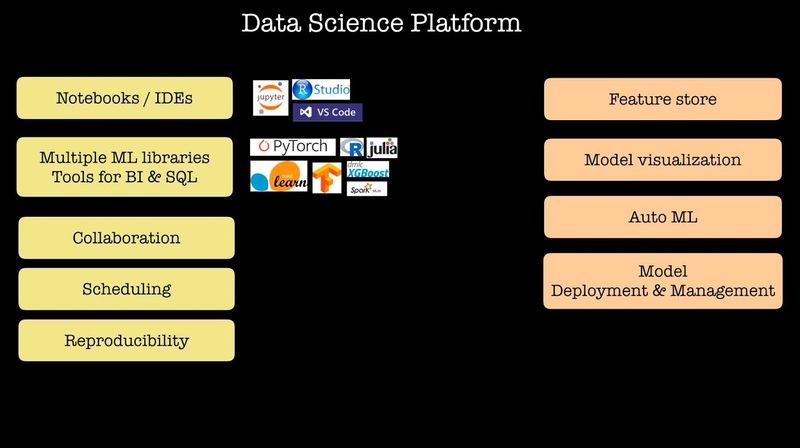 These emerging sets of tools aim to be accessible to data scientists who are already using libraries such as scikit-learn and TensorFlow. The hope is that data scientists will soon be able to routinely build differentially private models. 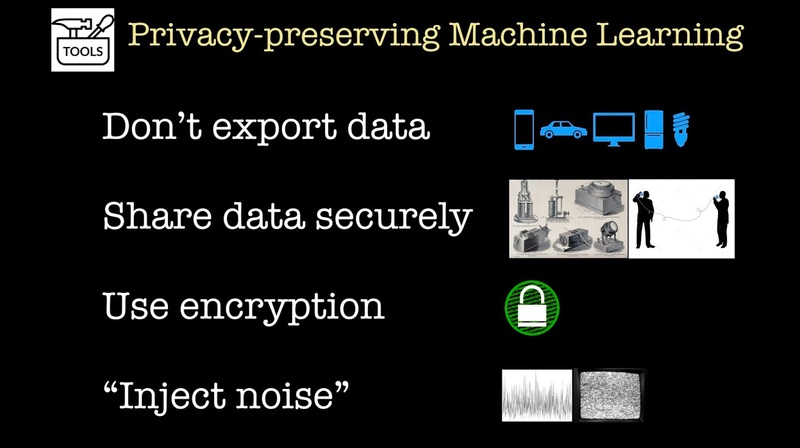 There’s a small and growing number of researchers and entrepreneurs who are investigating whether we can build or use machine learning models on encrypted data. 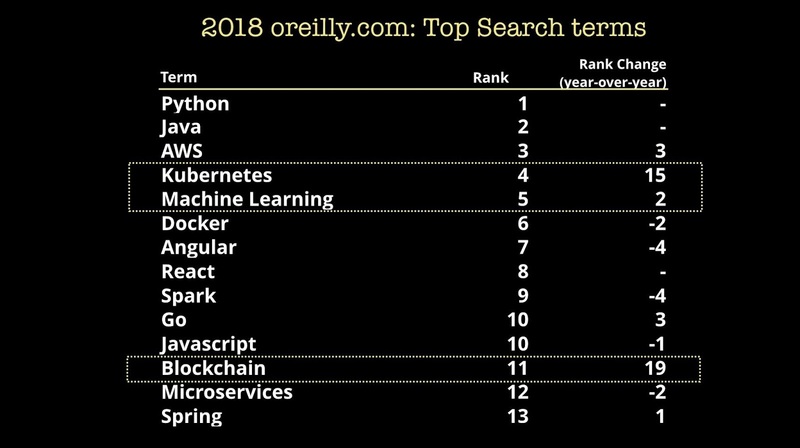 This past year, we’ve seen open source libraries (HElib and Palisade) for fast homomorphic encryption, and we have startups that are building machine learning tools and services on top of those libraries. The main bottleneck here is speed: many researchers are actively investigating hardware and software tools that can speed up model inference(and perhaps even model building) on encrypted data. Secure multi-party computation is another promising class of techniques used in this area. Now let’s consider fairness. Over the last couple of years, many ML researchers and practitioners have started investigating and developing tools that can help ensure ML models are fair and just. Just the other day, I searched Google for recent news stories about AI, and I was surprised by the number of articles that touch on fairness. Anti-classification means the omission of protected attributes and their proxies from the model or classifier. Classification parity means that one or more of the standard performance measures (e.g., false positive and false negative rates, precision, recall) are the same across groups defined by the protected attributes. Calibration: If an algorithm produces a “score,” that “score” should mean the same thing for different groups. However, as the authors from Stanford point out in their paper, each of the mathematical formulations described above suffers from limitations. With respect to fairness, there is no black box or series of procedures that you can stick your algorithm into that can give it a clean bill of health. There is no such thing as a “one size, fits all” procedure. Because there’s no ironclad procedure, you will need a team of humans-in-the-loop. Notions of fairness are not only domain and context sensitive, but as researchers from UC Berkeley recently pointed out, there is a temporal dimension as well (“We advocate for a view toward long-term outcomes in the discussion of ‘fair’ machine learning.”). What is needed are data scientists who can interrogate the data and understand the underlying distributions, working alongside domain experts who can evaluate models holistically. As we deploy more models, it’s becoming clear that we will need to think beyond optimizing statistical and business metrics. While I haven’t touched on them during this short post, it’s clear that reliability and safety are going to be extremely important moving forward. How do you build and organize your team in a world where ML models have to take many other important things under consideration? When you’re working on a machine learning project, you need to employ a mix of data engineers, data scientists, and domain experts. One important change outlined in the report is the need for a set of data scientists who are independent from this model-building team. This team of “validators” can then be tasked with evaluating the ML model on things like explainability, privacy, and fairness. 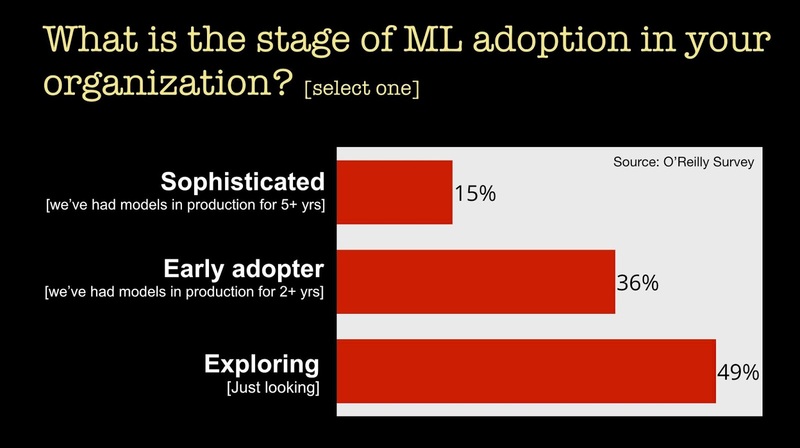 So, what skills will be needed in a world where ML models are becoming mission critical? As noted above, fairness audits will require a mix of data and domain experts. In fact, a recent analysis of job postings from NBER found that compared with other data analysis skills, machine learning skills tend to be bundled with domain knowledge. But you’ll also need to supplement your data and domain experts with with legal and security experts. Moving forward, we’ll need to have legal, compliance, and security people working more closely with data scientists and data engineers. This shouldn’t come as a shock: we already invest in desktop security, web security, and mobile security. If machine learning is going to eat software, we will need to grapple with AI and ML security, too.